Osinbajo’s meeting with Igbo leader was a complete waste – IPOB – Royal Times of Nigeria. The Indigenous People of Biafra (IPOB) has berated Acting President Yemi Osinbajo for not inviting its leader, Nnamdi Kanu to the resolution meeting he held with Igbo leaders, citing the meeting as a complete waste. Osinbajo had on Wednesday held a meeting with leaders from the South-East over an ultimatum by some Northern youths to Igbos asking them to leave the region before October 1. 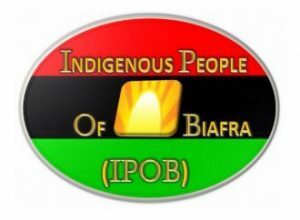 IPOB’s Media and Publicity Secretary, Emma Powerful in a statement on Thursday said those in attendance had no knowledge about the crisis nor the struggle. The statement said “This meeting, we understood, was convened at the instigation of the Nigerian acting President, Prof. Yemi Osinbajo, following the political fallout from the hugely successful IPOB sit-at-home order of 30th of May, 2017. “From time, we firmly resolved that nobody among the governors or politicians can set an agenda for IPOB except our leader, Mazi Nnamdi Kanu. “Therefore, any meeting without the consent of our leader or those nominated by him in a representative capacity, is a complete waste and is unacceptable to IPOB. “With one or two exceptions and with the greatest respect to the attendees at this Nigeria-sponsored gathering in Abuja, the so-called South-East delegation is in no way representative of the views of the leadership of IPOB worldwide, neither can they claim with any degree of sincerity to be speaking for the masses. “Therefore, all that Professor Osinbajo has succeeded in achieving with this meeting is to waste scarce resources that could have been channelled towards more useful purposes.